Tibetans lived in direct contact with the natural environment. They understood through experience and study that natural forces in the environment directly correlate with and influence the functioning of the human being. All of the material which makes up our universe is based on the qualities of 5 basic elements which are described in the ancient texts of Tibetan medicine. In the theory of the five elements we see an effort to define the qualities of the basic forces which exist in nature. Tibetan doctors begin their training by studying the four tantras, ancient texts that are the root of the discipline. The tantras speak of health as a state of balance between three systems governing body and mind. The wind system deals with circulation, of blood, nerve impulses, even of thoughts in the mind. The system of heat deals with metabolism, liver, and digestion. And the system of cold concerns itself with the structure and stability of the body. When these systems become imbalanced, illness results. Doctors study the tantras for four years, and after passing written and oral examinations spend another three years studying under a senior physician before they become eligible to practice medicine. The physician performs a visual exam of the patient, checking their skin complexion, the colour and texture of nails, sputum, and other general conditions. The doctor will ask you about your symptoms and your lifestyle. Next we feel the twelve pulses. There are six distinct pulses at the radial artery of each wrist that correspond to the internal organs. We feel for such things as the width, depth, strength, speed and quality of the pulse. Each of those factors when understood properly allow us to clearly define the illness, its location, hidden complications and its etiology.Pulse reading is the crucial diagnostic tool in Tibetan medicine. Through this technique, physicians glean clues as to which imbalances afflict a patient. On your first visit, you bring a sample of urine which the doctor will examine for its color, odor and after vigorous stirring, the size, color, amount, and persistence of bubbles, and any deposits. From this the doctor confirms the nature of the illness, the presence of infection and the localization of the illness among other things. At an immediate level, a disorder is primarily caused by an improper diet and/or lifestyle. In fact, a majority of health problems, both in developing and developed countries, can be either directly or indirectly traced to poor diet or lifestyle. Examples of this include alcoholism, hypertension and heart disease. The first form of treatment in Tibetan medicine is thus not medicines but changing a patient's diet and/or lifestyle. Only if this fails to remedy an ailment is the use of medicines considered. Tibetan medicines take various forms, from decoctions, powders, general pills, precious pills, and syrups, and are prescribed in small doses - a fact that reflects the emphasis Tibetan medicine places on gentle treatment. Most often at our Center, the client will take herbs in the form of small, earth-colored herb pills. In Tibet and India, physicians at hospitals and clinics use other methods of treatment for illnesses, including blood-letting at one of the body's seventy-seven blood-letting points. For cold disorders, nerve malfunction and non-malignant tumors, moxibustion, golden-needle therapy may be used to stimulate the energy channels of the body. Many diseases of the nerves and muscles, as well as pain and insomnia related to rLung, are treated with gentle massage using various medicinal oils. Medicinal bath and natural spring baths are used to treat an assortment of skin disorders as well as chronic arthritis, gout and cold types of rheumatism, and rigid and stiffness of the extremities. Here in the United States, these other therapies are not practiced. Centuries ago, before Buddhism entered Tibet, Tibetans like all ancient people had a significant degree of medical knowledge. According to traditional sources, in the beginning of the 4th century many new ideas regarding medicine began to enter the country. At first influences came from India in the form of what is now called Ayurvedic medicine, as well as more spiritual and psychologically based systems from Buddhist and other sources. Around the 7th-8th centuries the Tibetan government began sponsoring conferences where doctors skilled in the medical systems of China, Persia, India and Greece presented and debated their ideas regarding health and the treatment of illness. Those with superior abilities in the diagnosis, treatment and understanding of illness were invited to stay and contribute to the country's medical knowledge base. In the 11th century, this knowledge was codified into a unique system containing a synthesis of the principals of physical and psychological medicine imbued with a Buddhist spiritual understanding. 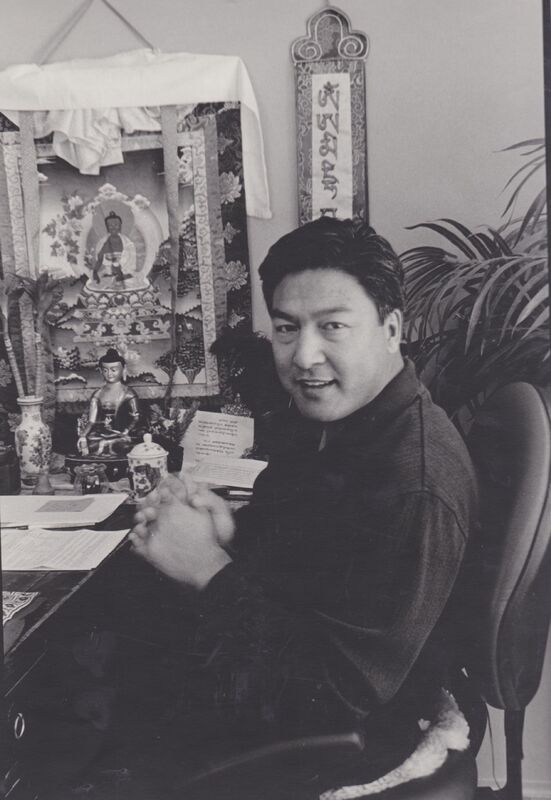 This understanding formed a foundation for Tibetan medicine and benefited patients and doctors alike. It acknowledged how health and illness resulted both from the relationship between the mind and the body and people's connectedness to the natural world and sense of spirituality. If you want to get rid of a particular type of anxiety or stress or depression or fear or any other kind of unpleasant mental experience, you can visualize the Medicine Buddha seated above the top of your head and that luminous ambrosia or liquid light emerges from his body, filling your body and cleansing you of any problem. Our Center is comprised of dedicated practitioners working together to bring balance to each client, through a series of complementary disciplines. Please click on a name under the services menu to read more about any one of our practitioners and/or services.